I wondered if you knew of some great orchestration companies or tracks to enhance our production of Elton Johns Aida. We have a small venue and could really use some tracks specifically for transtitions. One of my former piano students posted this on Facebook. I think this was around 1990. 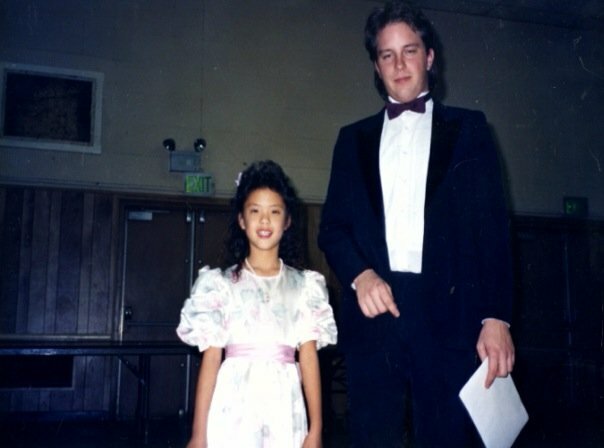 Here I am at one of my students’ yearly piano recitals, probably around 1990. I taught piano to many students from around 1989 to 2004. At one point I had over 40 students. I loved teaching. Does a Piano Player Need to Read Music? In order to make a good pianist do I really have to learn notes and play them? Since 4 years from 12 to 16 I have played music by ear all the way through. I have also watched others play and I play what they play in a day literally. God gave me this talent to where I can play music that I want to within about 4 hours.